Many times we race through life, traveling from place to place without ever putting much thought into what it took to make them a reality within the commercial market. The gas station that you visit every week, the building where you work, your favorite coffee shop and restaurant, were all pre-planned with you in mind. Schemmer’s team understands the ins and outs of a commercial facility and delivers appealing and inspiring spaces for our clients. Complex building systems. Required equipment. Necessary workflow. Our creative professionals combine function with style to meet the needs of a wide range of business types. Office, retail, restaurants, you name it. They are all on the menu and we do it all. As a leader in commercial facility design, we create custom-built teams—including designers, contractors, engineers and owners—that work seamlessly together to ensure that the final result is functional, durable and safe. Within the last five years, the commercial market growth has seen a tremendous surge. 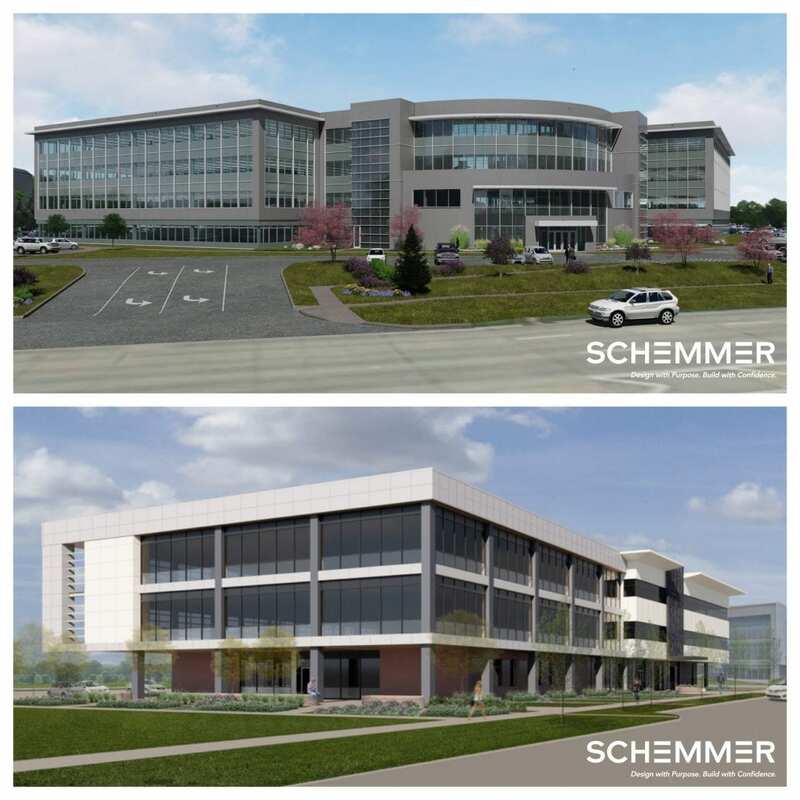 Schemmer’s team has been hard at work designing numerous commercial facilities and a multitude of different projects than they were two years ago. Their favorite by far is designing new corporate office buildings because they get to do the whole enchilada, the shell and interior, and then marry them together. No matter what type of building you’re hungry for, Schemmer has you covered.